Our internet pharmacy is available for global customers. We have worldwide delivery. cialis australia We offer your medicine in-time. The Planet Press Group is one of Australia’s most progressive, reliable and respected design and print manufacturers. Committed to continual improvement to satisfy changing consumer requirements, Planet Press provides a wide range of products to leading Australian businesses. Planet is versatile, flexible and time efficient, manufacturing products with swift turnaround times. Effective planning and employee mentoring; plus ethical and environmentally sustainable business practices make Planet Press a great place to work and a dependable business partner. Inspired by the future, Planet continues to evolve. 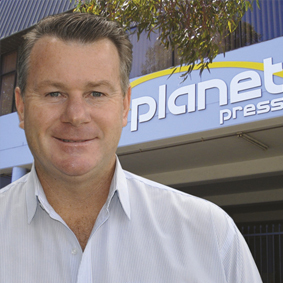 Planet have been supplying printing in Australia since 1958. The high demands and stringent requirements of our corporate clients have honed our skills and we offer high service levels. Our ability to manufacture custom, technically unusual and quality printed materials often in challenging delivery times benefits all of our customers – large and small. Planet supplies leading financial institutions, major corporations, government departments, clubs and hospitality organisations, plus many medium and small businesses within the Sydney area, regional New South Wales and interstate. Our products are distributed throughout Australia and exported across the world. Through monitoring economic trends, training, job versatility, lean manufacturing, quality assurance systems, improvements in technology and plant equipment, our planning has paid-off and we’ve by no way reached our limit as we continue to grow and offer our clients an expanding suite of services. Our passion for the environment has developed into an assistance scheme with the launch of EnviroPrint in 2005. A conservation initiative of Planet Press, award-winning EnviroPrint aims to enhance public awareness of environmental conservation and cultural harmony whilst utilising potential waste material. The Planet Press Group is our combined divisions of Planet Press, Planet Communications, Planet Direct Mail, Planet Logistics and EnviroPrint. We are able to provide the vast majority of print and marketing needs for most Australian organisations. Planet’s strong, enthusiastic, next generation management team are dedicated to providing our customers with the finest we can offer.